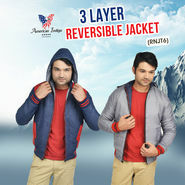 Stylish And Branded Jackets For Fashion Forward Men! 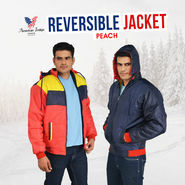 Jackets are one of the most hot and trendy clothing item in the fashion world. 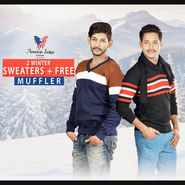 When winter arrives, many of you have a not-so-exciting feeling and you just can't find clothes that are both functional and fashionable at the same time. Now, say good bye to all those unexciting feelings as you have Naaptol to take care of all your fashion requirements with its greatest collection of men's jackets. 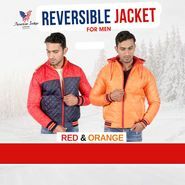 Just check out the fun and manly range of jackets and allow the myriad colors, designs,styles and material take effect on your senses. The Naaptol's men's jackets collection features a wide and impressive line-up of pieces by top Brands like Lure, Woolenwear, Born to Ride, and more. 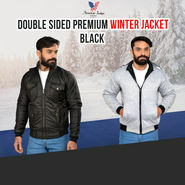 Go in for jackets in dapper shades for a classy yet laidback look or you can also choose jackets in upbeat hues to add some flavor of fashion to your everyday wardrobe. 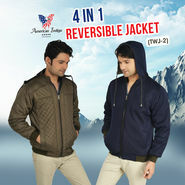 These jackets are simply great for the workplace when teamed with a long-sleeved shirt and formal pants. 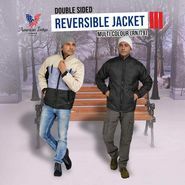 These jackets are very versatile and functional too. 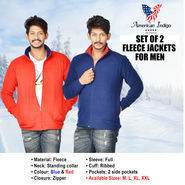 You can wear it as a casual wear; these are perfect pick for bikers too. 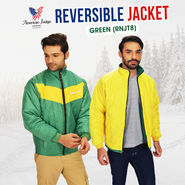 Each and every piece is made with high quality material for long-term performance. 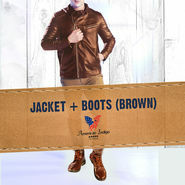 Hence, shop for Leather jackets online on Naaptol today and get ready to face extreme weather in extreme style.